No visit? • State GOP chairman says he isn't sure now whether president-elect will drop by. President-elect Donald Trump speaks during a rally in Hershey, Pa., Thursday, Dec. 15, 2016. 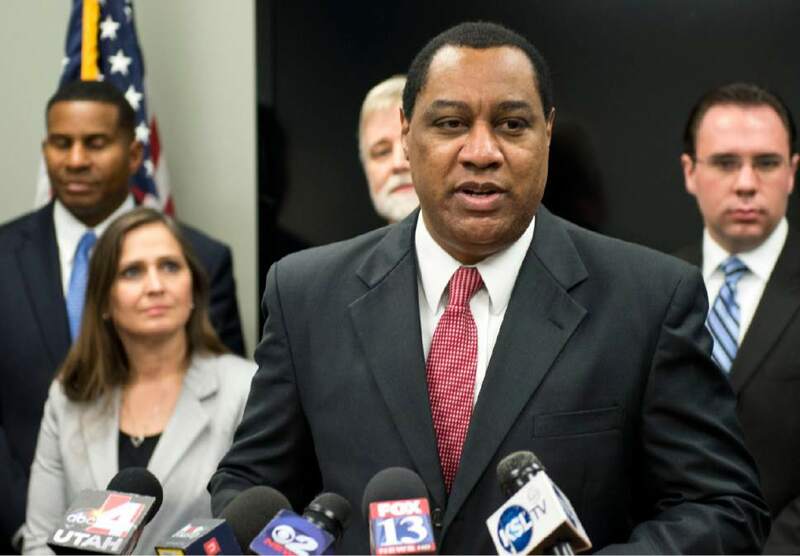 (AP Photo/Matt Rourke) Lennie Mahler | Tribune file photo Utah GOP Chairman James Evans speaks about SB54 during a press conference last year at the Utah Republican Party headquarters. 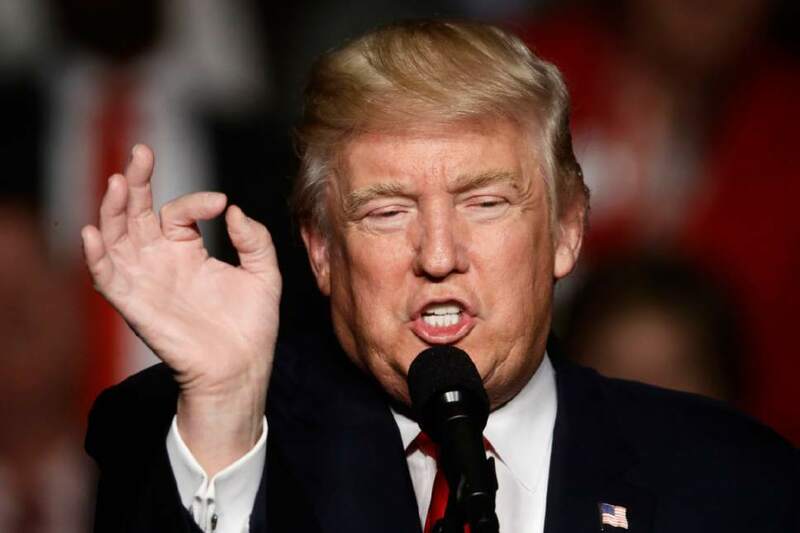 Washington • President-elect Donald Trump may not stop in Utah on his victory tour after wrapping up his post-election rallies for at least this year in Mobile, Ala., over the weekend. Utah Republican Party Chairman James Evans had said previously Trump would visit Utah as part of the president-elect&apos;s plans to personally thank supporters who carried him to the White House. But Trump&apos;s rally in Mobile, Ala., on Saturday night was billed as his final trip as part of that tour  or at least, for 2016. "If they have now changed their plans, we&apos;re just waiting to get confirmation on that," Evans said Monday. Evans said he had submitted a request for an event to the Trump team and was trying on Monday to find out if there was still a chance of that happening. "They asked us for this information, so you&apos;d have to conclude that they&apos;re coming here," Evans said. Trump&apos;s transition team did not respond to a request for comment on any possible visit to Utah, where he acknowledged at one point in the campaign having "a tremendous problem." Several prominent Utah Republicans  including 2012 presidential nominee Mitt Romney, Sen. Mike Lee and Lt. Gov. Spencer Cox  were harsh critics of then-candidate Trump. The president-elect&apos;s event on Saturday in Alabama wrapped up a swing through several of the states that helped propel Trump to victory. He noted that the rallies were a "little victory tour, but really they were thank you tours." Evans had said in November that Trump was in talks with local officials about a visit to the Beehive State. "At this point, there is no information to divulge publicly. I can just say that it&apos;s being planned," Evans said then. "We&apos;ll defer to the Trump team to announce details when it is ready." It&apos;s still possible that Trump could visit Utah after the new year. He&apos;s spending the holidays at his Mar-a-Lago estate in Florida. Trump won Utah in the election, carrying 46 percent of the vote, a much smaller percentage than previous GOP nominees have earned in the state. Democrat Hillary Clinton took 27 percent and independent Evan McMullin, who was trying to deny Trump Utah&apos;s six electoral votes, nabbed 22 percent.